Polished sterling silver. Open back. 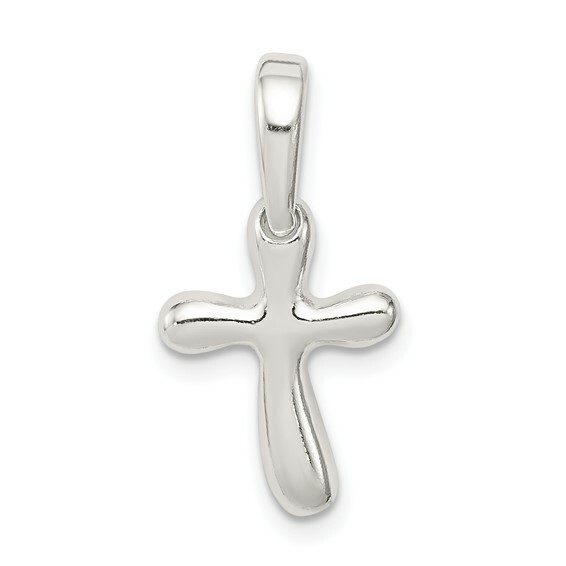 Tiny freeform cross charm. Weight: 1.2 grams. Measures 9/16 inch tall by 3/8 inch wide without bail. This item is smaller than a dime. Made in India.